We are very proud of the brands we hold and consider them the best you will find in the whole of Europe. O'Neill and Rip Curl have such an extensive range that you will find a wetsuit for any water sport on our online shop. Some ranges worth considering if you are new to surfing or kitesurfing is the O'Neill Epic's and the Rip Curl Dawn Patrols both are available in summer and winter versions. A winter wetsuit is generally of 5mm thickness which is on the body and most have a thermal lining for extra warmth. A summer version is 3mm on the body with less of a need for the polypro lining. We stock all shapes and sizes so you don't need to look any further for choice. If you are in any doubt what will be the best wetsuit for you to buy then you can always call us for helpful and friendly advice.  I Sorted Surf Shop provides huge savings on a wide range of wet suits from all of the very best manufacturers. You will find there's large choice of discounted wetsuits readily available for men, women and children. Wetsuits keep you warm by catching a thin layer of water between your skin and the neoprene. Your body heats up this water and keeps you warm. It's important to get a wetsuit that fits properly, otherwise cold water will constantly flush the warm water out. The suits come in various thicknesses for different water temperatures, so in the winter months a 4mm, 5mm or 6mm neoprene suit is on offer. A wetsuit is a neoprene insulation suit made for warmth and protection in watersports. It functions by trapping a thin layer of water between your body and the suit. This layer of water is warmed by your body, to prevent you from loosing too much heat while in the water. Water molecules conduct energy (heat) 25-40 times faster compared to air molecules. For example, on a 60 degree day you probably feel comfortable outdoors with jeans and a shirt whereas you will probably start to shiver within minutes while swimming in the same temperature water. Wetsuits are not meant to keep you entirely dry. Neoprene is made of small closed cells that are filled with air which provide insulation against cold water by trapping heat in. The thicker the neoprene is in the suit, the warmer the suit will be because it has more heat trapping insulation. It is important to research the water temperature (keeping in mind the different seasons and swells) in the region where you will primarily use your wetsuit. One thing you need to consider when choosing your wetsuit is the type of water sport that you are into and will be using the suit for. As for surfing you will be looking for additional warmth properties as your body is generally half submerged until you are up and riding. So a good thermal chest panel is a good choice. Also when surfing a good amount of stretch in the wetsuit is a must as the better you can move in the wetsuit the less tired you will get and the better you will surf. Kite and windsurfers on the other hand require a smooth skin chest to stop the wind getting to them. The same applies in terms of stretch as movement makes everything so much better to enjoy the sport. Open water swimming is fast becoming one of the UK's top water sports. People of all ages are seeing the benefits of getting in the water and exercising whilst in nature. Wetsuits for swimming range from the occasional swimmers wetsuit such as an O'Neill Epic or Rip Curl Dawn Patrol to the more serious of water goers such as the Speedo Triathlon wetsuits which have special panels cut in the wetsuit to add buoyancy and give maximum arm movement. Either way here at Sorted Surf Shop we can help you make the right decision. Where To Buy Your Wetsuit? When it comes to choosing the right wetsuit to buy then you need to consider the temperature of the water that you will be using the wetsuit in. For example if the water is very cold and under 10c then a 5mm winter suit will be the best choice as the thickness is intended to keep you warm for up to 3 hours. If the water is colder than 5c then a 6mm suit could well be a better choice and even though you will lose some of your movement you will stay warm. So when you are faced with the cold winters and you have got your suit the only other things you will need is a set of 5mm wetsuit boots and 3mm gloves. You are then ready to hit the water and enjoy your surfing in complete comfort, except of course when you have to get changed back into your clothes. For warm months then either a 3mm full suit or a 2mm shortie will do the job and give you even more flexibility. We ensure that we have a full range of Men's, Women's & kids suits for those summer months. If you are looking for a summer suit to use in UK & European waters and your water sport requires you to be in the water for as long as possible then a full version is definitely the way to go. When choosing the wetsuit that will best suit your budget and requirements you should consider usage. If you just want something to enjoy the beach with your family then an entry level suit will more than meet your requirements and in this case look for something like the O'Neill Reactor as it is well priced and durable. For the more dedicated water sports person then basically the more money you spend the more flex and warmth you will get out of the wetsuit. Best brands include O'Neill, Rip Curl, Billabong & C Skins.